The Arteon isn’t a bad car – it’s good looking and drives well – but it’s difficult to see why customers would choose one over its premium rivals, especially the models at the upper end of the rage. With doubts over how strong resale values will be, the cheaper versions make more sense; and if you're tempted by VW's flagship model, those are the versions we suggest you consider. 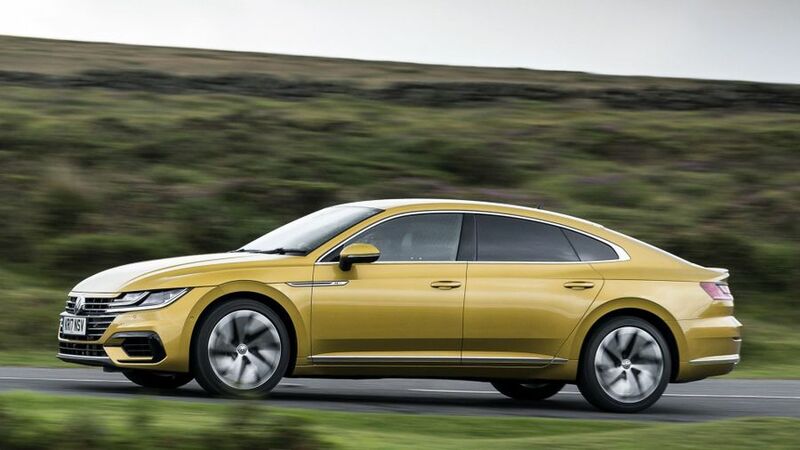 Interested in buying a Volkswagen Arteon? 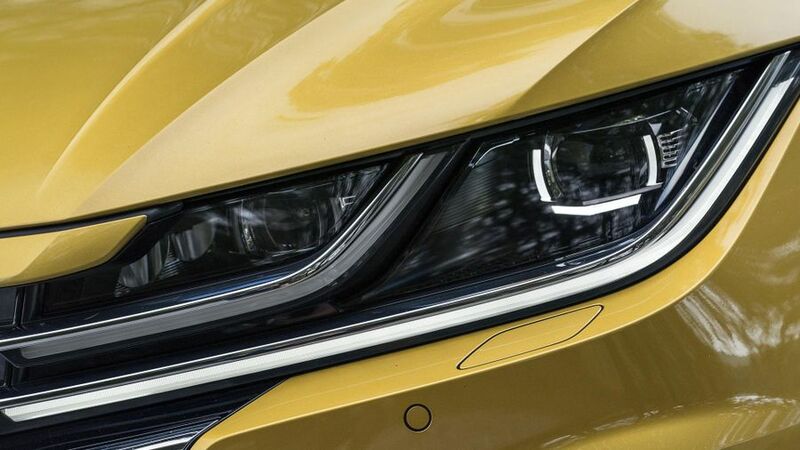 The exterior design heralds a fresh look for VW, with a bold front end and a grille that extends into the headlights. You can expect to see this look on future VWs, too. 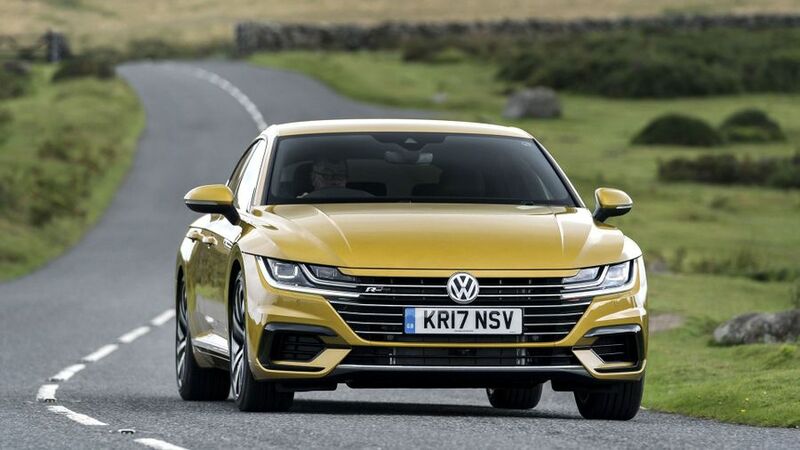 The Arteon has strong lines that are often defined by chrome and stand out from the competition; you‘re not going to mistake it for anything else. Although there are several variants of the Arteon available in Europe, the UK gets just the two high-end trims. Elegance models are geared towards an understated, classy look, while R-Line cars have a more sporty image, that includes a more aggressive front bumper design with wider air scoops, R-Line badges on the wings, a rear spoiler and tinted rear windows. It also has larger, 19-inch alloy wheels, rather than the 18-inch units fitted to the Elegance cars. Step inside the Arteon and you’re greeted by an environment immediately familiar to anyone that’s been in almost any modern Volkswagen. That’s not a bad thing in itself, but for a premium car trying to rival the Audi A5 Sportback, and its benchmark interior quality, we could perhaps have hoped for more. While the design, materials and build quality are all perfectly acceptable, it doesn’t feel as special as its rivals. The seating position is good, with plenty of adjustment, although some may wish the driver’s seat lowered slightly more than it does. The infotainment touch-screen measures 8.0 inches in its standard form, but you can upgrade to a 9.2-inch unit with the optional Discover Navigation Pro package. This looks fantastic and has plenty of features, but it’s not as easy to use as the simpler version, which has more buttons and extra shortcuts. We are fans, however, of the Active Info Display; a fully digital, customisable instrument panel that replaces traditional analogue dials and is standard across the range. Having a sloping, coupe-like roofline can sometimes cause issues with headroom for adults in the back, but only passengers over six feet tall will worry about limited headroom in the back of the Arteon. There’s plenty of legroom, too, and the boot is cavernous. Using a hatchback instead of a saloon-style bootlid means easy access to the 563-litre space, and the rear seats fold down almost flat to give up to 1,557-litres of luggage room, which is considerably more than rivals. The front gets decent-sized door pockets, two cupholders and several cubby holes to store bits and bobs. We’ve tried both R-Line and Elegance cars, but in both the suspension set-up is too stiff, particularly at low speed. The result is that all manner of bumps in the road are transmitted into the cabin, even with the standard adaptive suspension set to Comfort. Sadly, the car doesn’t feel particularly sporty, either - even when you opt for a sportier setting in the Dynamic Chassis Control - and certainly not enough to justify the lumpy ride. The rival BMW 4 Series Gran Coupe not only feels sharper, it also rides more comfortably. 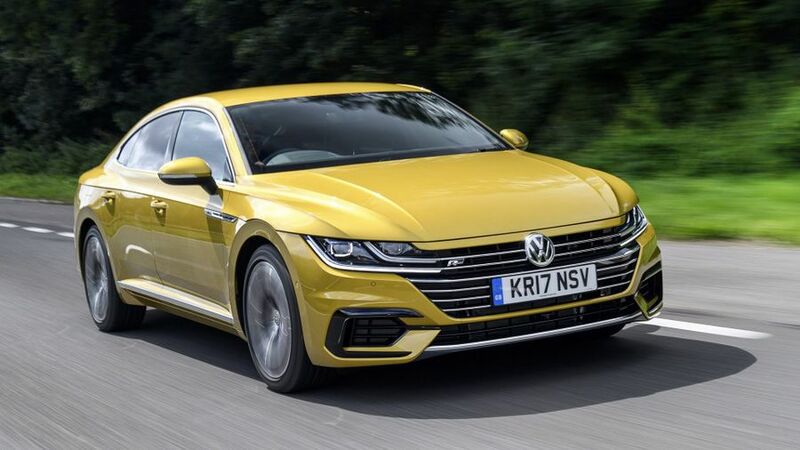 That said, if you don't work the Arteon too hard and stick to sweeping main roads rather than tight and twisty B-roads, you'll be playing to its strengths. In those conditions, you can appreciate the nicely weighted steering, decent composure through the corners and quiet cabin at high speeds on the motorway. 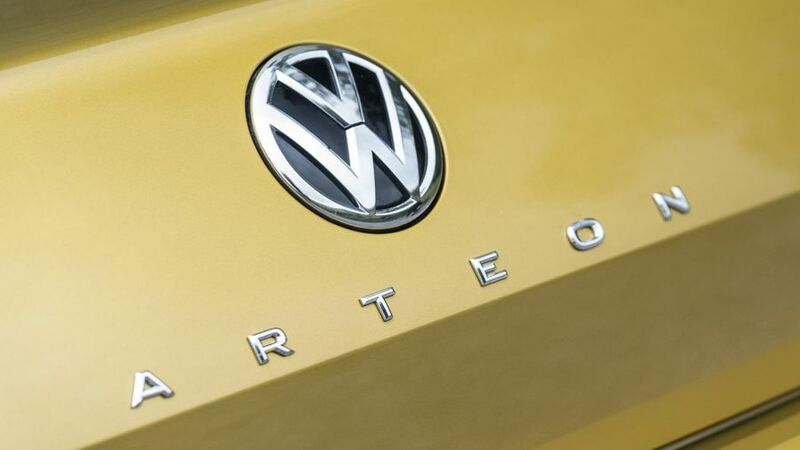 Contrary to VW's initial plans, there is a wide range of petrol and diesel engines to choose from in the Arteon, although we're yet to drive what is expected to be the cheapest model, with a 150PS 1.5-litre petrol engine. However, we have driven the most basic diesel-engined model, with a 150PS version of the 2.0-litre TDI engine, and for the most part, it works really well. We drove it with the optional seven-speed automatic gearbox, and It's a little slow to get the car rolling away from rest, but once you're on the open road, the good low-down torque makes for a very responsive car. It's more than quick enough, and you certainly don't need any more. If you want more, though, you won't be disappointed. The top models both have 2.0-litre turbocharged engines, the petrol with 276bhp and the diesel with 237bhp but more torque, and both come only with dual-clutch automatic gearboxes. Both engines are impressive, with more than enough power to whisk you along very briskly without raising the pulse too high, and the gearboxes are excellent. The diesel is slightly noisy, but not to a point where it ruins the experience. We're yet to drive the 190PS diesel car, but the similarly powerful petrol model is plenty quick enough, although we found it doesn't work quite as smoothly with the standard automatic transmission as the more powerful engines. Particularly at low speeds, the gearbox struggled to work out which gear to choose, and the changes weren't as smooth as we'd like. We have no doubt that the cheaper versions of the Arteon will make more sense to buy - and not just because of the lower list prices. The relatively high prices of the more powerful models pits them against cars from Audi, Jaguar and BMW, and the Arteon’s resale values are weaker, as it has the badge of a volume manufacturer when it's trying to compete in a premium marketplace. The 150PS 2.0 TDI is more tempting, with a relatively low list price, average economy of more than 60mpg (with a manual gearbox) and correspondingly low CO2 emissions. However, even it works out as dearer to run than the equivalent models from Audi and BMW, primarily because it loses more of its value over time. Its only saving grace is that it's cheaper to insure. As a brand-new model, there’s no historical data to call on for the Arteon. But going by Warranty Direct’s Reliability Index of general manufacturer performance, there’s some cause for concern, as Volkswagen sits in the bottom half of the rankings. 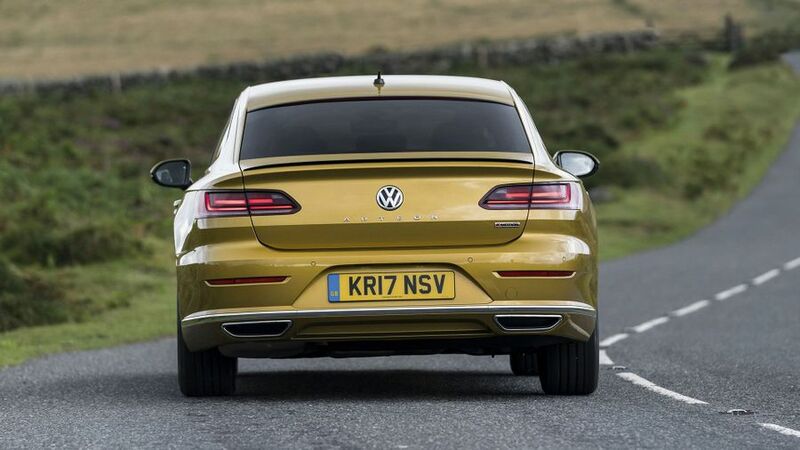 However, owner reviews for VW's next biggest saloon/estate, the Passat, are much more positive, so hopefully the Arteon will push the company upwards, but we’ll have to wait and see. One of the Arteon’s big selling points is the amount of technology included, and that includes lots of cutting-edge safety gadgets. One of the headline features is an advanced adaptive cruise control system, which uses cameras to read speed limit signs and update the settings accordingly. When you reach a 30mph zone, for example, the cruise control will automatically slow to meet the new limit. It also uses GPS data to slow the car automatically when you reach a bend or junction. It’s a very clever idea, but in practice, it seems hugely conservative in its approach, braking far earlier than you would if you were controlling the speed yourself, and taking the bend at an unnervingly slow pace. The (optional) system will also spot if you’ve passed out behind the wheel, jolting you first with the seatbelt and brakes, and then automatically stopping the car on the hard shoulder if you don’t respond. 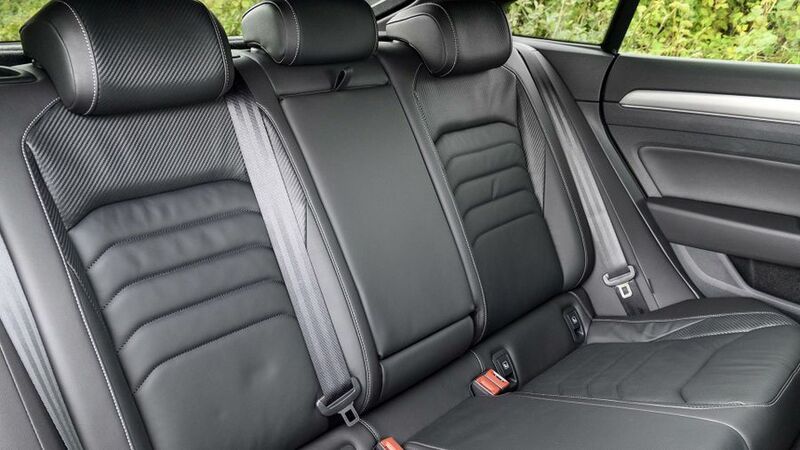 In addition, there are two Isofix child seat fitting points and seven airbags as standard. On top of all that, the Arteon received the full five stars when crash-tested by safety organisation Euro NCAP. 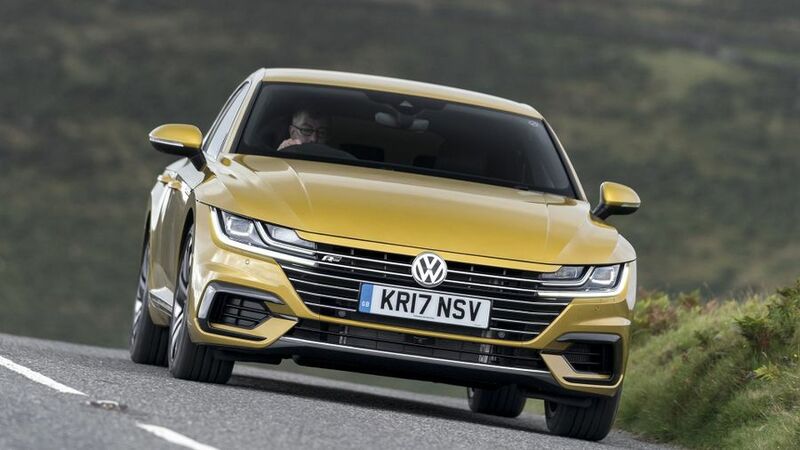 The amount of kit available in the Arteon will be one of the main reasons for buying one, and it's crammed with the kind of features that will woo Audi and BMW customers. 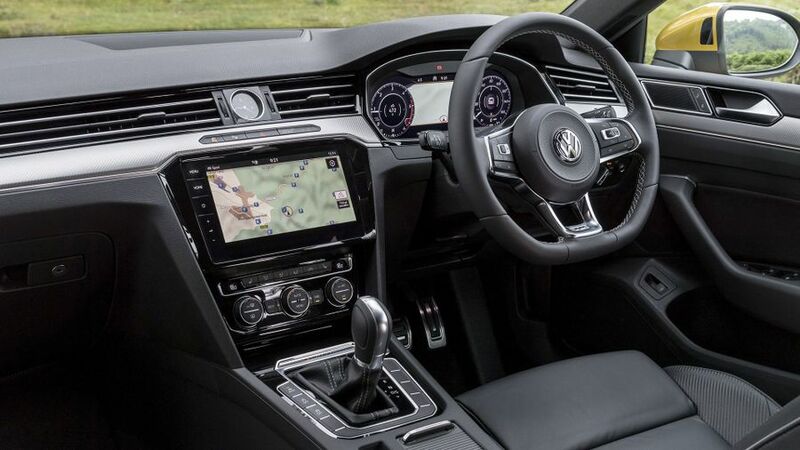 Elegance cars come with sat-nav, DAB radio, Bluetooth connectivity, Apple CarPlay and Android Auto, and three-zone climate control, with separate controls for the driver, front-seat passenger and rear-seat passengers. 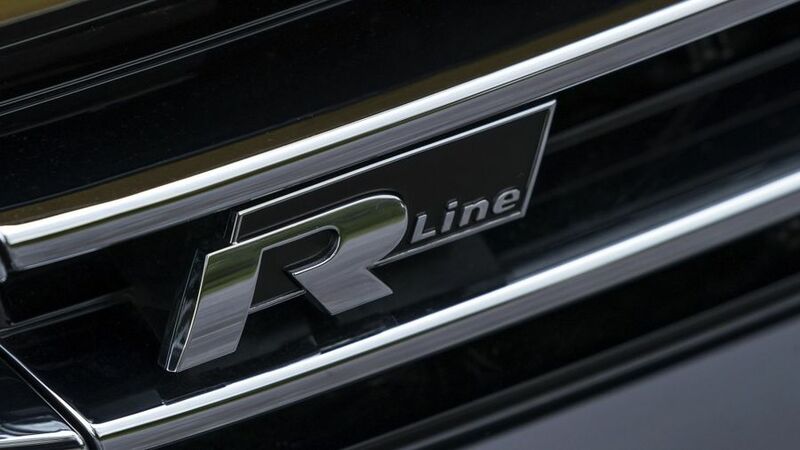 Over and above that, the differences on the R-Line model are all stylistic, but there are plenty of attractive options, such as improved audio and infotainment systems, a head-up display, and a panoramic sunroof that brightens up the cabin. The Arteon is certainly an appealing car, not least because of the way it looks, how much space there is inside, and how much standard equipment it comes with. Trouble is, it’s a little difficult to see why you’d choose it over its premium rivals, which offer many of the same qualities, can work out as cheaper to run, and have a deserved grip on this part of the market.